You all for your storage go here. Talk to Robert, he sure will help with your storage needs. Good customer service! Great customer service. Robert is very friendly and helpful. I would highly recommended EP Easy Storage. 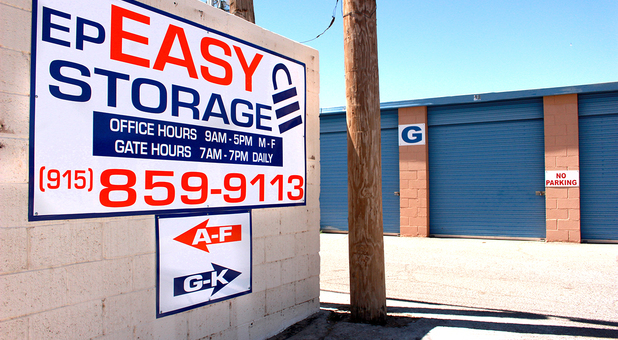 I had the best experience at Epeasystorage , the manager is excellent and always works with you . The customer service is also wonderful , I have nothing but good things to say about this storage and also they have the best prices in El Paso . This place was awesome for me. I’ve been in the military for 18 years and am very familiar with renting storage. The manager there was great and very user friendly. I’ll recommend this place to anyone with storage needs. Your things do get dusty but it was unnecessary things we stored so it is okay. It has great prices and the guy who runs it, is very helpful. I haven't had any problems. Epeasy Storage on Zaragosa had exactly what I was looking for. And the rates were great. The manager was extremely friendly and facility was clean and secure. I highly recommend !